Going home to Los Angeles means hanging with my Labradoodle, eating Dad’s homemade pizza, and evidently sitting in a lot of traffic. It also means smoothies…if you can call them that. Despite their categorization in the breakfast food group, my dad’s liquid concoctions end up looking more like wet cement than like anything edible. Do you remember your Crayola days? In an attempt to change things up, you’d mix all the colors together, creating what usually resembled a big brown blob. Such is the LA smoothie conundrum. Between seeds, greens, powders, and frozen fruit, the stuff I eat for breakfast in LA (and that my dad eats every day, bless him) looks a lot like mud. There’s so much (good for you) stuff in there that it’s difficult to tell what it all tastes like. I’m often left forcing down the second half by the time Dad’s rushing me out the door for a run or a real estate showing. Now, you can probably imagine that, by this point, I’d be pretty darn turned off by smoothies (unless, of course, they’re sandwich themed). Believe me, I’m just as confused as you are about the presence of this post on this here blog. 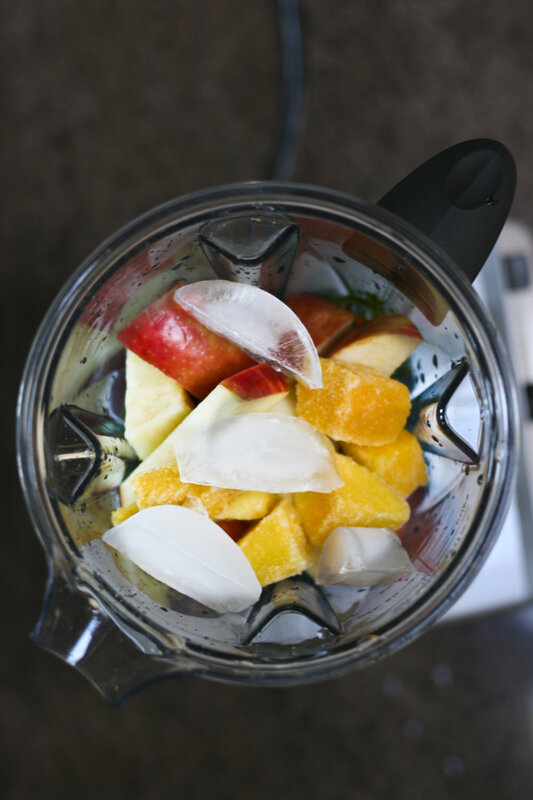 This smoothie, however, is a game changer. It’s a wake-you-up kind of cocktail that’s lightweight, healthy, and fresh tasting. Not fresh tasting like wheatgrass shots (which are almost worse than regular shots), but fresh like your taste buds are taking a siesta in a garden. Without any dairy or fake dairy (almond milk, soy milk, rice milk), the produce stands on its own, without relying on the flimsy disguise of a milkshake-like thing. Drink this, and you’ll feel your insides get healthier. Again, not in the self-loathing what-was-I-thinking way of wheatgrass shots, but in the this-is-delicious-I-feel-effing-awesome kind of way. In so many words, this smoothie has reversed my former objections to liquid breakfast. Granted, I’m still a peanut butter toast on weekdays, frittatas and pancakes on weekends kinda girl. But this recipe gives me the pick-me-up I sometimes need these days to get through the week without falling flat on my face, right into wet cement. 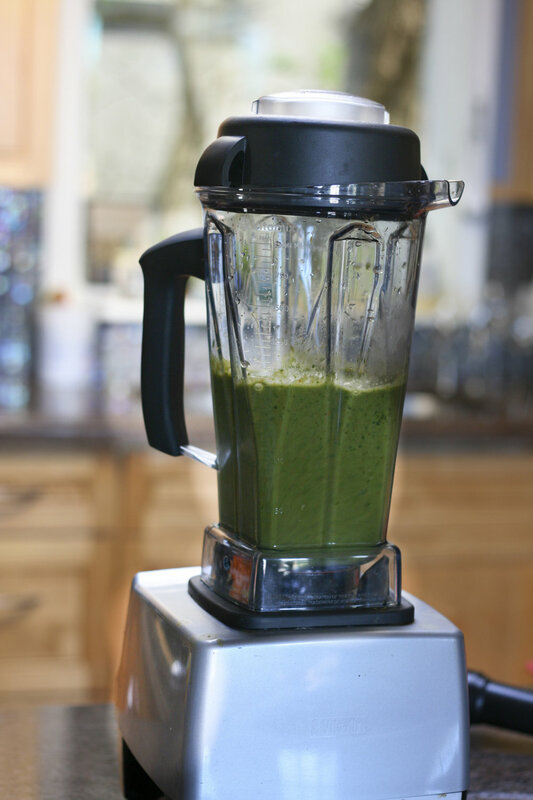 Combine all ingredients in a heavy-duty blender. Add more water to achieve desired thickness.